Subscribe to our e-newsletters to receive printable POW along with its solution in your inbox every Monday! The Noetic Learning Math Contest (NLMC) is a semiannual problem solving contest for elementary and middle school students. The goal of the competition is to encourage students' interest in math, to develop their problem solving skills, and to inspire them to excel in math. During the contest, students are given 45 minutes to solve 20 problems. Many problems are designed to challenge students and to enrich their problem solving experiences. The contest is for students in grades 2-8. Teachers in any public school or private school are encouraged to register their students. Click here to register your teams! 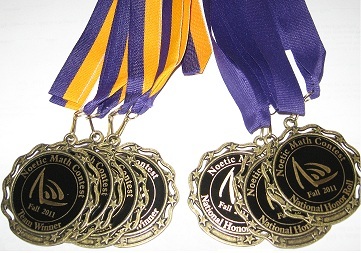 National Honor Roll Medal: The top 10% of all participants in each grade will receive 'National Honor Roll' medals. Team Winner Medal: The highest scorer of each team will receive a 'Team Winner' medal. Team Achievement Plaque: The top 10% of teams (excluding after-school institution teams and homeschool teams) will receive Team Achievement Plaques. Click here to download contest flyer! Host Your Own Math Tournament! New! You have more flexibility on time, place, structure, awards and etc. Students have more fun to compete against peers in the same district or community. Raise awareness to your school/organization and establish yourself as a promoter and a leader in math education. Recognize talented math students in your school/community. Receive Our News on Facebook!
" The math contest was truly a wonderful experience, from the practice problems all the way to the finish line of receiving medals! The quality you offer is unsurpassed in every respect. The results were timely and easy to interpret. My students sincerely benefited from this experience, and I will be entering more groups in the future." " Thank you for offering this contest. It is growing in popularity in our school and certainly helping us put a focus on problem solving. We look forward to participating in the contests again next year." " This experience is so good for my students. I love hearing them share various problem solving strategies as we’ve gone back over the test. Thank you for making the contest available!" 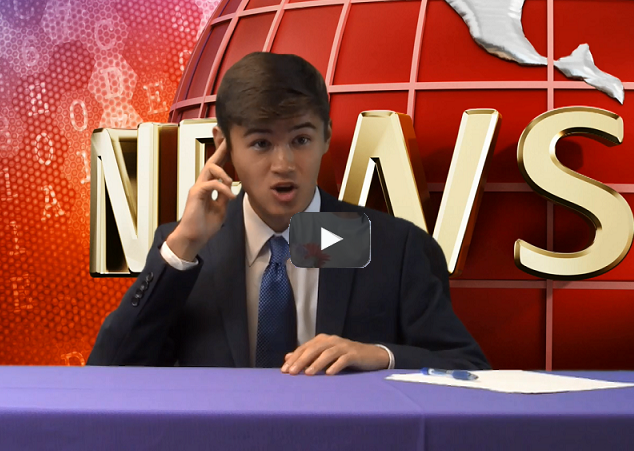 " We greatly enjoyed the contest and take pride that our students did so well on it. I teach a GATE clustered class, and this contest is a wonderful enrichment opportunity for all. " " I teach math to the gifted students at our school. My students loved the contest. My students wanted me to give them more problems the next day. Most of them loved trying to figure out the ones that stumped them. They didn't want me to tell them the answers. They wanted to keep on working until they figured them out themselves. " " The contest was simple to register for and had easy access to the materials needed to administer the test. The certificates which were downloaded for participating in the test were also easily accessible & looked very professional! I was very proud to give each participant a certificate for their time & talent. Noetic even went beyond my expectations when the medals came. The medals were amazing! I was so thrilled to hand these out as well. Thank you for putting together this great opportunity for students! " " My favorite was how the test results were recorded and listed in the spreadsheet. I also like the medals that were sent to the team winner. Though we did not have any student to score in the top national bracket- the students were very proud to be in the honorable mention/team winner. " " Thank you so much for the opportunity to get kids excited about math. We had 30 participants in 2nd grade. They choose to come to school twice a week at 7:30 am to prep for the test. They are always so excited and we are amazed. They are always so excited and we are amazed. . "
" I liked the contest. I really liked the excitement my students experienced, and the recognition for thinking 'Math IS Cool'. " " This was so easy to participate in! You gave enough instruction to help us along, but also enough flexibility to make it work. Thanks, "
" Yes, we enjoyed it! We had a guest speaker earlier in the year tell us that we should start math contests early to prepare for college math contests like the Putnam (he had participated in) so my students wanted to do that and that is why I looked it up and found you. My students loved the idea of preparing for something they'll do in college and being nationally ranked! " " I loved the contest! Parents said it was like the math they do in Germany. It seemed meaningful. It was a great way to compare our learners with others the same age. Love the e-mail updates and awards. The medals were very special. The certificate were nice for the effort the students but forth. Thank you!" " Excellent problems! I bought a previous competition to practice with and loved having problems for the younger students to work on. My older students do MathCounts, but I've had a hard time finding appropriate problem-solving for younger ones. I think the key is to harness their interest while they're young and excited. Thanks so much for doing all this work for us in the ranks!"